SoCal Field Trips is a lifestyle blog dedicated to active families who enjoy adventuring out of the home and into the world of hands-on learning. “Field Trips” is our middle name! 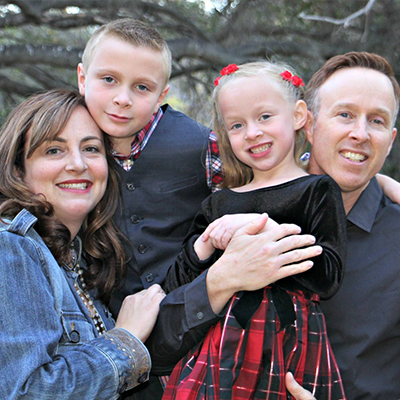 Whether exploring the beautiful landscape of Newport Beach’s Back Bay to learning about the history of the Berlin Wall at The Ronald Reagan Library in Simi Valley, we are dedicated to introducing our children to the vast array of fun and exciting learning opportunities throughout Southern California and beyond. 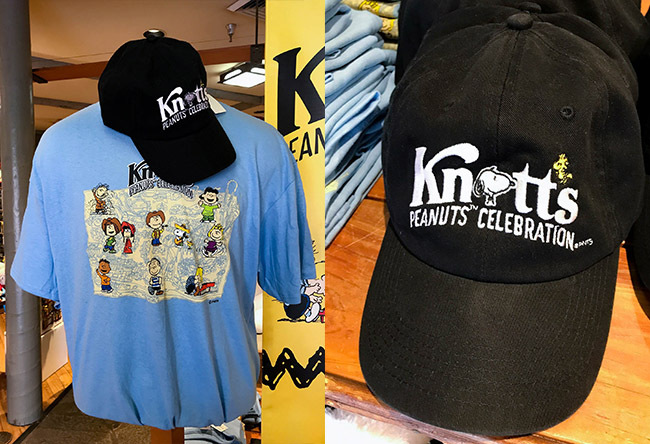 If you are an avid Peanuts fan, then you don’t want to miss the opportunity to check out the latest Peanuts merchandise, available for a limited time only during Knott’s Peanuts Celebration. 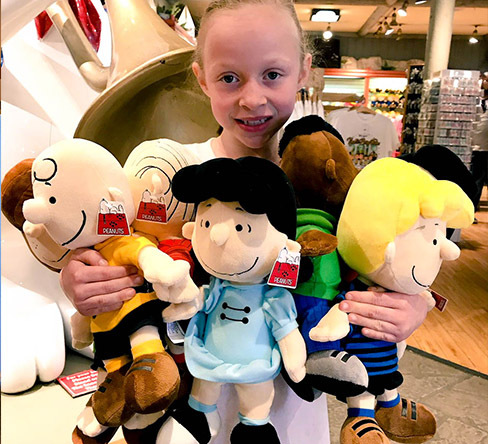 From classic baseball caps to a newly designed Peanuts t-shirt to a limited number of PigPen plush toys, there’s bound to be at least one souvenir for every Peanuts fan in your family! If you love baseball caps, then you’ll definitely want to get your hands on the latest Peanuts Celebration Baseball Cap for only $16.99. It’s comfortable enough that you can even wear it year-round. 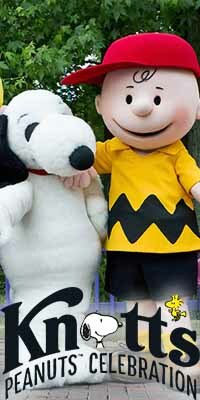 The baseball cap also looks great when paired with the new Knott’s Peanuts Celebration Shirt for $14.99. The 100% cotton shirt features eleven of the beloved Charles Schulz’s Peanuts Characters including Charlie Brown, Linus, Lucy, PigPen, Snoopy, Woodstock, Franklin, Peppermint Patty, Marcie, Sally, and Schroeder. 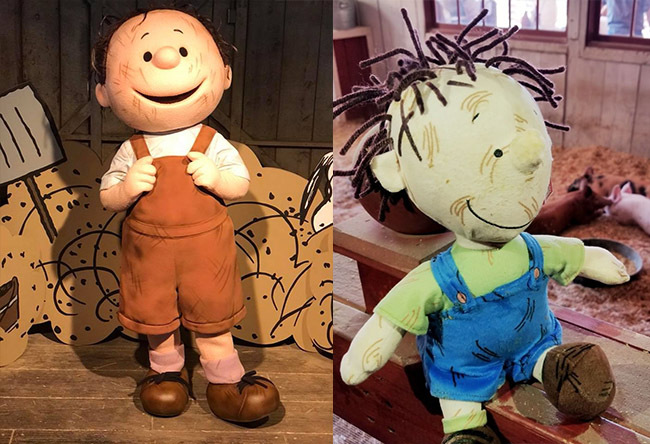 In addition to the regular line of Peanuts plush characters, you can also pick up the new PigPen plush toy at the Camp Store in Camp Snoopy. He is very soft and quite huggable. Just ask my daughter who wanted to collect them all! 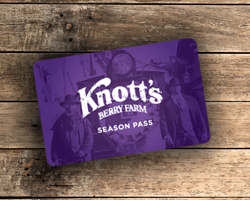 Furthermore, if you are a Knott’s Season Passholder, discounts apply to select food and merchandise purchases. Regular and Gold Season Passholders receive a 10% discount. 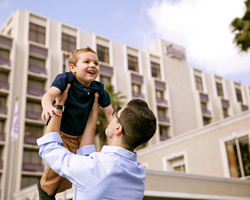 Platinum Season Passholders receive a 20% discount. I hope you enjoy the celebration and I look forward to seeing you at the park! 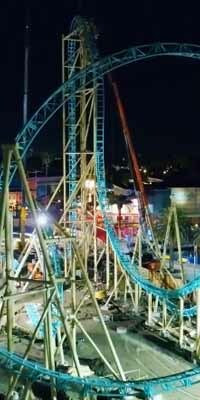 The construction of Knott's Berry Farm's newest coaster took over 360 hours and required several teams to help. Thanks to the hard work of all these people and more, Knott’s Berry Farm is ready to shred some gnarly thrills on HangTime. 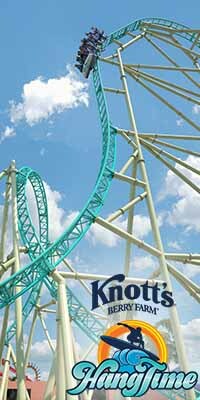 As the newest roller coaster at Knott's completes its final stages of opening, there is some need to know information including safety requirements, and ways to join early ride time. 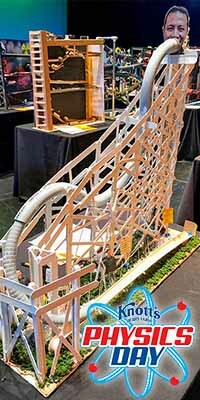 Last month Knott's Berry Farm hosted its annual Physics Day events for junior high and high school students as they took part in activities like a roller coaster building contest and racing rubber band powered cars. 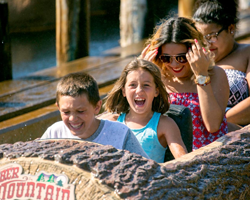 Berry Blogger Jilleen, takes a closer look at how Knott's Berry Farm makes learning fun! The iconic restaurant that sits just outside the Knott's Berry Farm main gate has been serving up over 80 years of tradition. 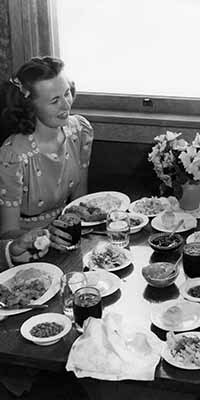 Join author Jeff Heimbuch as we explore the origin story of Mrs. Knott's Chicken Dinner Restuarant. 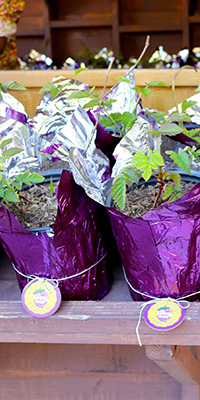 If you were one of the lucky ones who also purchased a boysenberry plant during the Boysenberry Festival this spring, then you are probably getting ready to plant it. Join Berry Blogger, Jill, for some helpful tips to growing your own boysenberry plant. While Knott’s Boysenberry Festival is known for all its Boysenberry deliciousness, there’s also a lot to see and do. Of course, there are always the thrilling rides. 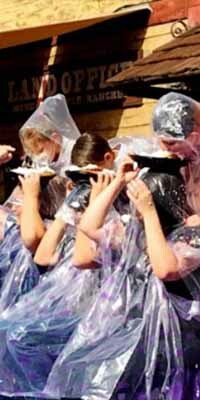 But you don’t want to miss out on the fun-filled Boysenberry Festival entertainment. 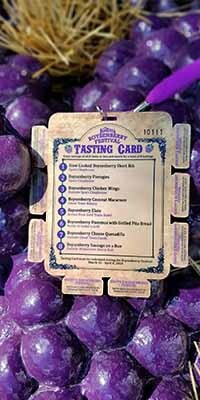 Meet the Simple Sojourns as they guide you through the appetizing entertainment of the Knott's Boysenberry Festival. 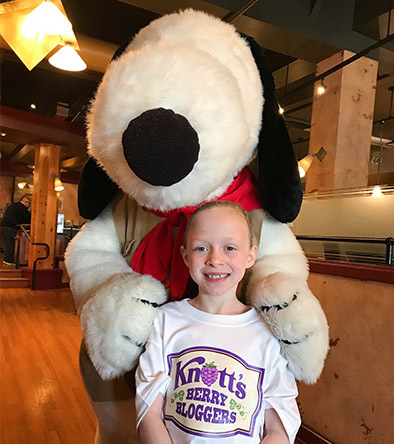 From sweet to savory and everything in between, Berry Blogger Caryn Bailey breaks down what's new at the Knott's Boysenberry Festival 2018. During the Boysenberry Festival, the Wilderness Dance Hall transforms into the Wine and Beer Garden. 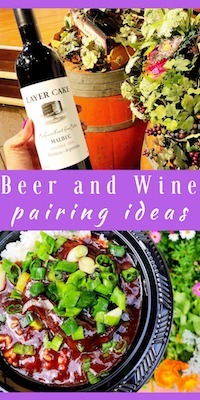 Check out Berry Blogger, Pattie and her 5 favorite alcohol and festival food pairings to enjoy at the Knott's Boysenberry Festival. 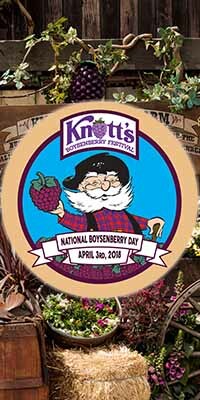 On Tuesday, April 3, we are celebrating National Boysenberry Day at Knott's Berry Farm. All boysenberries in the world can trace their roots back to Knott's Berry Farm, here in Buena Park, California so join us as we celebrate the little berry that started it all! Here are some of the ways you can celebrate with us at Knott's Berry Farm! 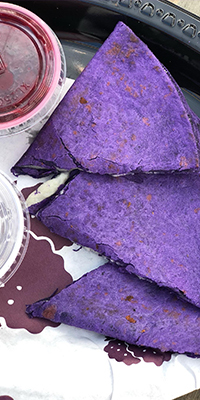 The most delicious time of year is here! The Knott's Boysenberry Festival is the springtime celebration of all things BOYSENBERRY from food, to merchandise to special live entertainment. 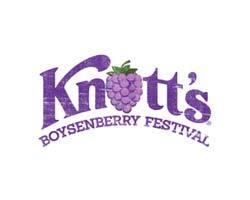 Here is your official 2018 Boysenberry Festival Map and Event Guide along with some of our favorite tips and tricks to enjoying the Knott's Boysenberry Festival.